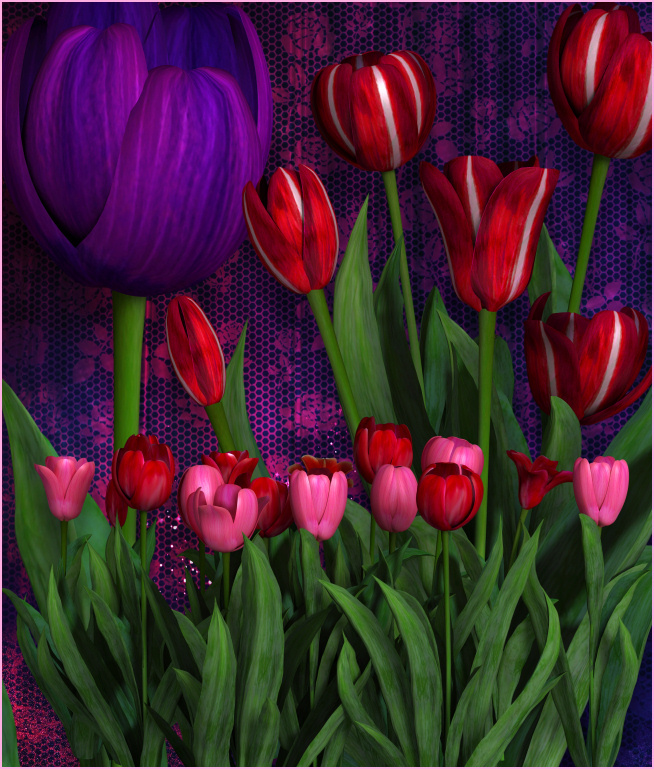 Vibrant flowers for your Valentine’s Day and springtime designs. 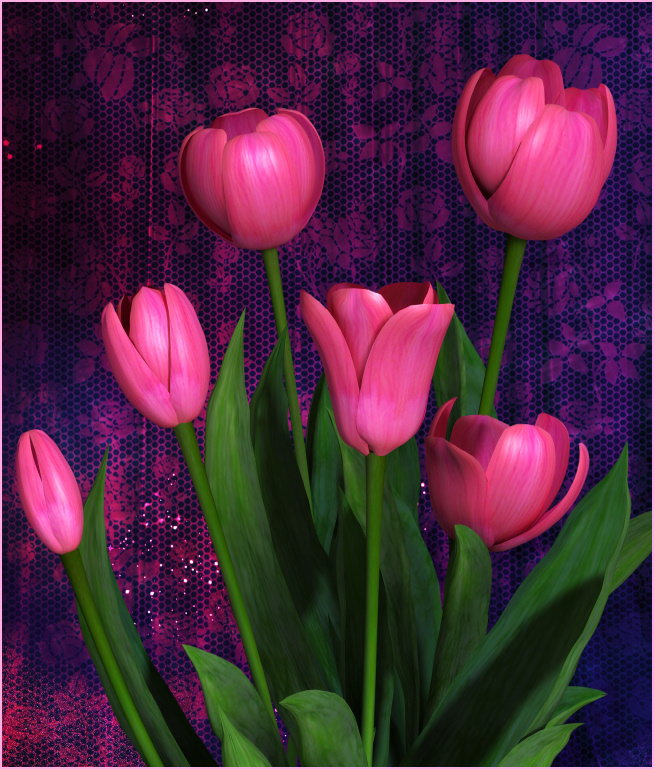 Express your heart with sweet tulips or create a fairy garden. They come in a variety of eye-catching colors. Some are grouped and some are single. 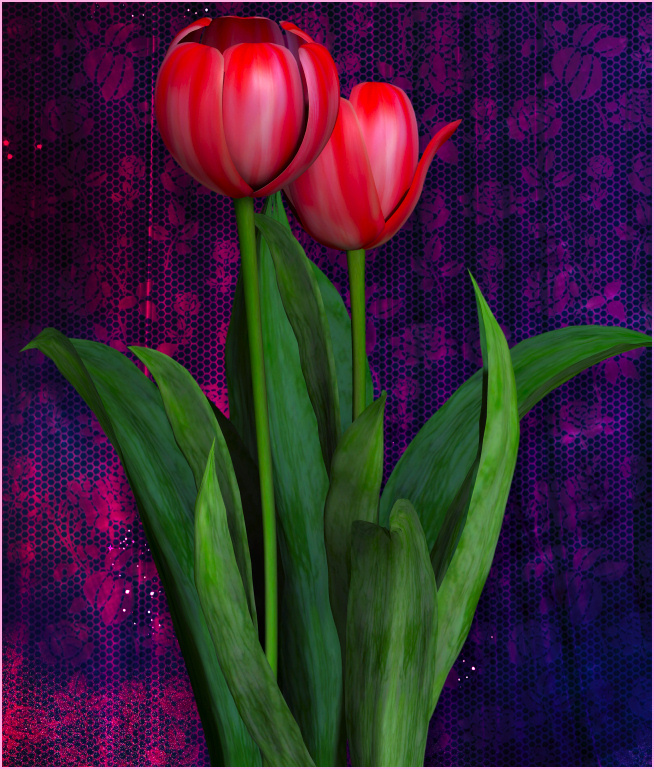 Sweet Tulips for Valentine’s Day! 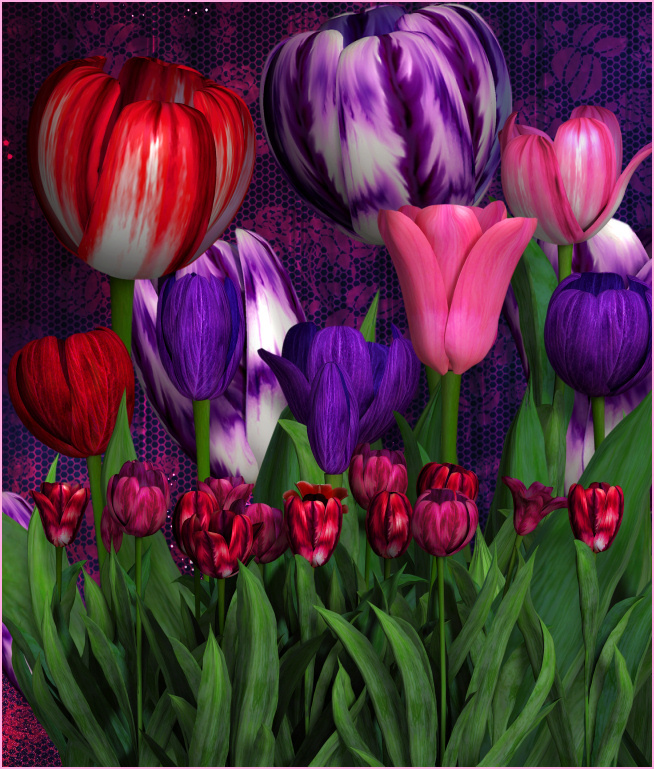 A package of Sweetheart Tulip Graphics that are nothing short of eye-candy–they’re beautiful, colorful, and sweet. Your could create a fairy garden with these. Or give someone your heart with some bright and stunning color this Valentine’s Day. Create something unforgettable. These are so hot that they might sizzle. 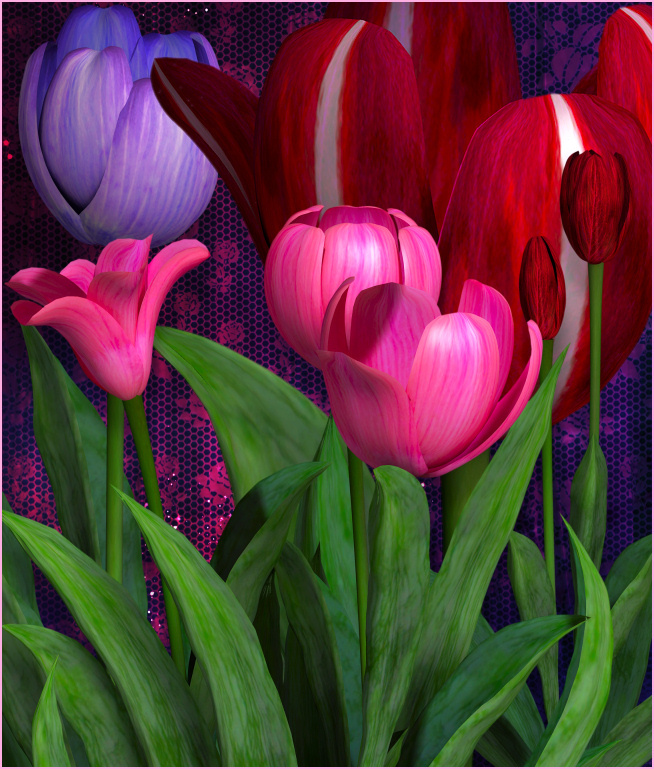 There are plenty of tulips to choose from in several vibrant colors from pink to luscious red. There are groupings, rows, and singles to make these more versatile for the project you have in mind. Best of all, you can use these beautiful flowers for any type of design all through the year. They would be great not only for Valentine’s day designs, but also for spring designs. 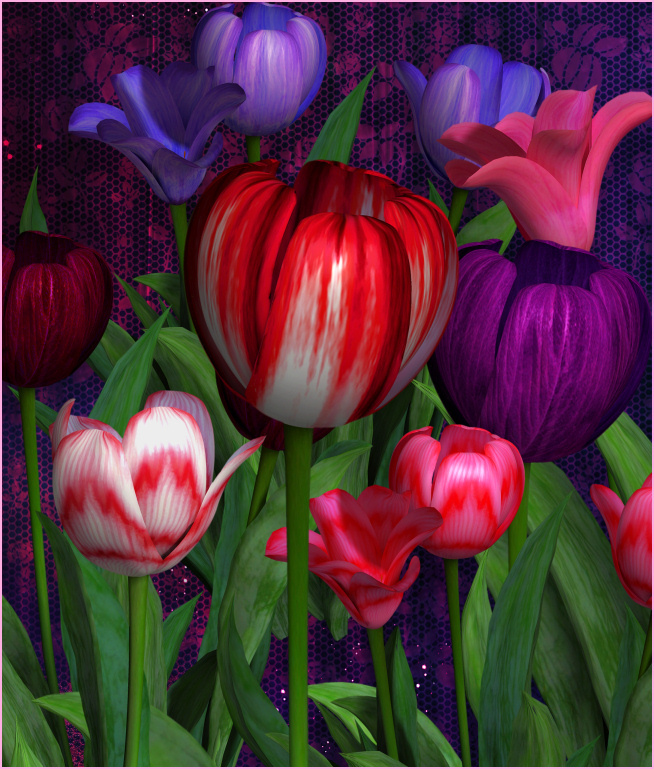 They would even work in goth designs–especially the tulips in dark, bold colors. The seamless tile on this page is also included. It will be perfect for backgrounds, paper making, flood fills, etc. The size of these images varies, but they are about 2200 X 2400 pixels. All are 300 DPI, making them great for print projects.